An over-specialized bit of gear that works for limited applications or hard-core ultralighters under certain conditions, but overall probably not worth the money. 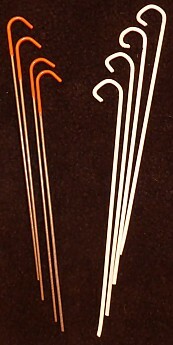 This is a review of the Terra Nova 1g Titanium Skewers. I am not connected to Terra Nova in any way, and I purchased the product retail. 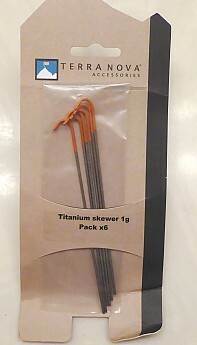 These titanium skewers come in a pack of six. 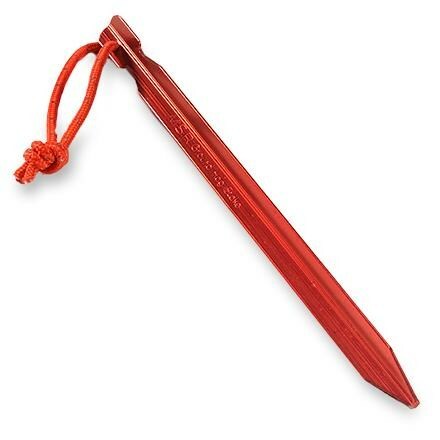 They are essentially “micro stakes”—very small, thin, and ultralight titanium stakes. And while they might be good for a few specialized uses, overall they seem to be too limited in functionality to be worth most people spending the money on. I have a floorless shelter and use the Sea2Summit bug net with it. 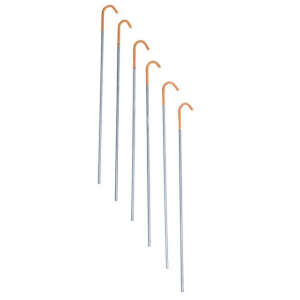 The net inner works best when the four corners are staked out, but I didn’t want to carry four extra full-sized stakes just for this (even typical ultralight titanium shepherd’s hook stakes weigh about 6g each, or about an extra ounce for 4 additional stakes). I am an ultralighter and so I scrutinize everything in my kit for how I can save weight, even if it is only a tiny amount (because saving a whole bunch of tiny amounts adds up to real weight savings). 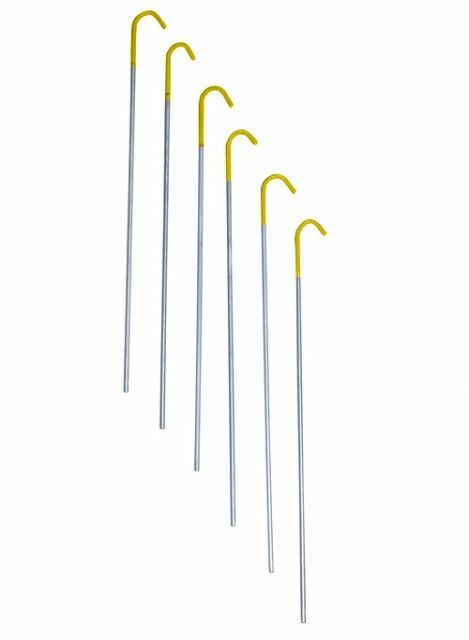 I was intrigued by the idea of 1g stakes (about the weight of a small paperclip) specifically for the corners of my bug net, so on a lark I ordered them. For holding the corners of a net tent they work pretty well, as long as the soil isn’t too loose or too rocky. But that’s about it. They are very thin and pretty flimsy, you can easily flex them with your fingers. I would not trust these to stake out anything that will have any real force/tension applied to it (so my belief that it would not be good for staking out your shelter, though I admit I haven't actually tried to). 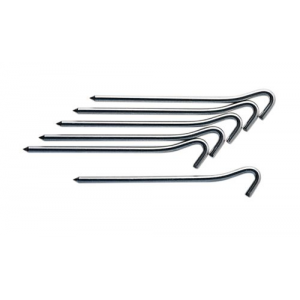 They also are expensive for what you get, costing about the same as regular titanium stakes (that provide 6x the titanium, natch). 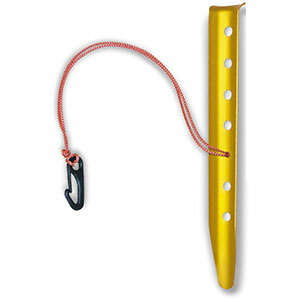 I do recognize that these micro stakes could work for a hard-core ultrallighter in certain terrain. If there are plenty of 25-lb rocks around I could see mainly tying off to rocks and carrying these stakes for the occasional camp on soil and using a rock on top to hold it in. It would be a bit of a risk that it would hold, but most likely it will if used this way, and I do know ultralighters who would make that tradeoff. But for other ultralighers, and certainly for non-ultralighters, these stakes just don’t seem to offer much peace of mind. After I got them I realized I could have easily made something similar at home, and I ended up doing so out of wire coat hangers. I’ve seen two thicknesses of your plain ol’ wire hangers, I used the thinner kind and cut skewers, bent them, and painted the heads. They are a little longer than the Terra Novas, much stiffer, and weigh 13g for 4 of them compared to the 5g (not 4) that 4 of the Terra Novas weigh on my scale. 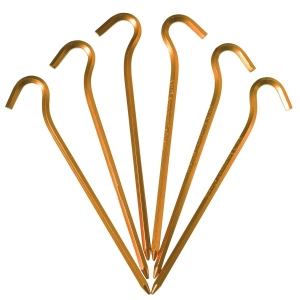 And, of course, the coat hanger skewers are free. 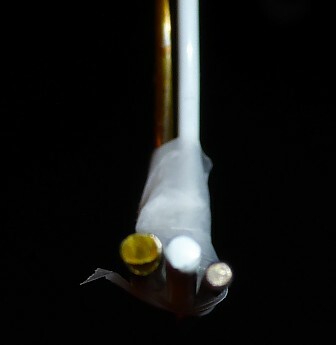 Terra Nova also makes a 2g skewer, those probably have about the same holding power as my DIY 3g coat hanger stakes. In sum, the Terra Nova 1g skewers is a product that represents the idea of “ultralight” taken to an extreme—it’s a stake so light that it has only limited use and thus is probably not worth the money. Nice review, JR! The comparison pictures are very helpful and I like your DIY coat-hanger idea. Nice review. I've given up on trying to be a true "UL" hiker. I'm happy with a 15-20lb baseweight. I can hike all day without being sore, and I don't have to baby my gear. 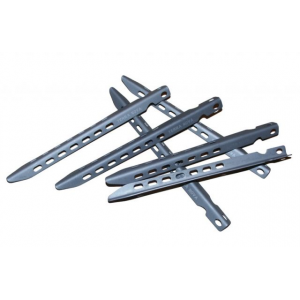 The Terra Nova Titanium 1g Skewer Pegs is not available from the stores we monitor. It was last seen April 14, 2018	at CampSaver.com.